Visiting and staying at the Glenapp Castle Hotel provides a wonderful opportunity to enjoy the heritage of Scotland whilst touring or visiting the country on your vacation or holiday. Now everyone has the opportunity to stay in one of the magnificent Scottish castles. Experience a sense of history and enjoy the luxurious surroundings of Glenapp Castle Hotel in the beautiful country of Scotland. A 19th-century castle with beautiful and historic interiors. 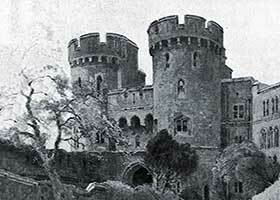 Glenapp Castle was built in 1870 - a romantic, fairytale castle. It is interesting to discover when the castle was built and which style applied to the building of Glenapp Castle when you take your holiday or vacation.